First off, seeing Diaz and the new recruit sparring totally reminded me of Wayne’s World when Wayne and Garth open the random door to show a bunch of guys training and Wayne says, “I just always wanted to open a door to a room where people are being trained like in James Bond movies.” HA! Seriously, though…I’m really liking where this Diaz stuff looks like it’s going. The main reason is because he seems to be a complete villain to me. Compare him to someone like Cayden and you can see what I’m saying. Cayden was very smart and could play the cat-and-mouse psychological game, but he couldn’t walk the walk when it came to the physicality. He had to have others around him take care of the fighting. Diaz clearly has brains—outsmarting even Cayden—but can also handle himself on the battlefield. It’s obvious he has an extensive martial arts background and shows an affinity for guns and fighting. He certainly did not shy away from Speedy and he went right after Ollie, even after being shot in the leg with an arrow. Add to all this the fact that he has a large percentage of the SCPD, city government and public figures in his back pocket and you have a pretty powerful bad guy. Random thought: Did anyone else feel like he was channeling a little Al Pacino tonight? He sounded just like Al to me in a lot of those scenes! In professional wrestling, a swerve is a sudden change in direction of a storyline that surprises the fans. Swerves usually relate to a character changing from good to bad and vice versa. If you’ve been watching this past season, it seems like the writers have a Laurel swerve in every episode—sometimes multiple times in a night! Tonight was a great example of that. It seemed like anything she did would be followed up by an evil smirk, or a friendly smile. Depending on the action she took, you were guaranteed to get something that would negate the behavior she just demonstrated a second before. In fact, after she helped Ollie and the team, she received a text from Diaz that said “good work,” to which she cracked a sinister grin. The swerve can be a really great tool and great way to twist a character or story and throw the audience for a loop. However, when it’s used over and over (especially with the same character) it loses its effectiveness and charm. Less is always more with these things. At this point, because we’ve seen SO much of it with Laurel, I don’t even care anymore if she’s “good” or “bad.” Not sure how other folks feel about it, but that’s where I am right now. 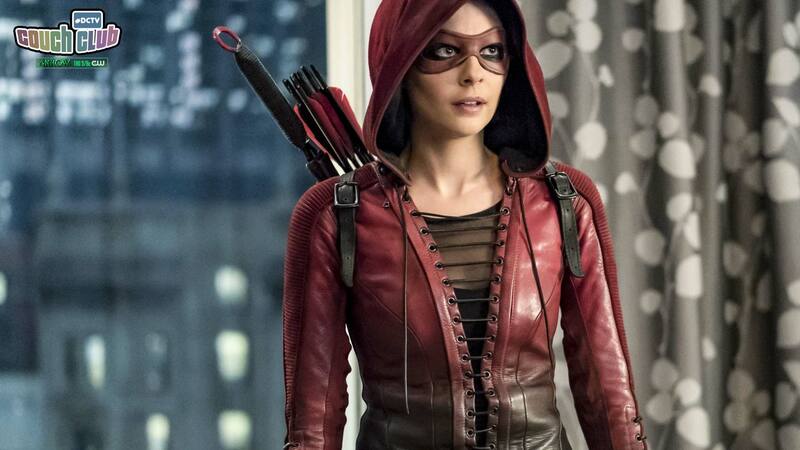 I thought another strength of the episode was bringing Speedy and Roy Harper AKA Arsenal back. I think this is a good move, especially since the team has split and it seems like Dinah, Curtis and Rene especially are going to be more in the background now. Ollie needs more allies and these two are cool additions. If they come together and join Ollie, it could be an even stronger team than what we’ve seen in the past. That’s if the growing annoyance John shows with losing the Arrow responsibilities doesn’t boil over. I know we see it all the time in cop shows, but is using a phone book to put a whooping on someone really a thing? Where did that come from?